WILA offers hydraulic power packs for all hydraulic and American Style Tool Holders. They can be fitted with an optional remote control or can be controlled via the control on the press brake. 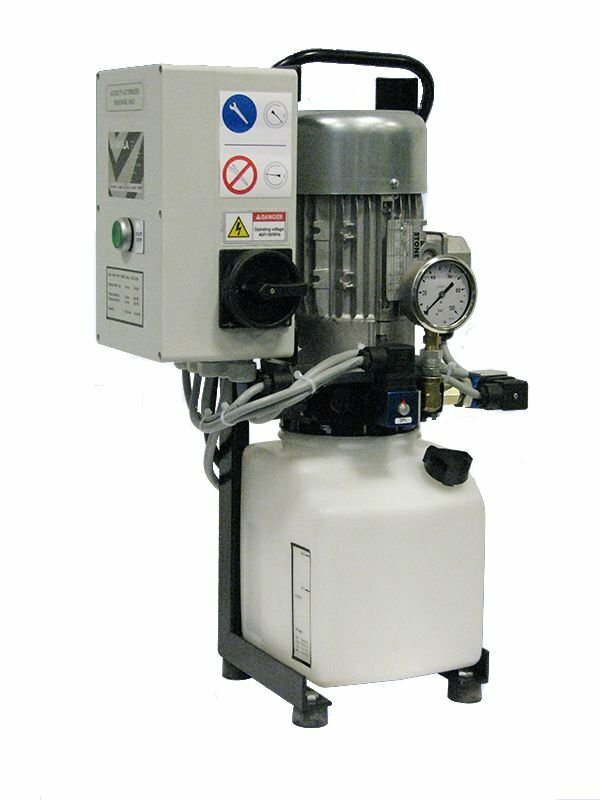 If tooling changes are seldomly done, it is also possible to use a low cost hand-operated pump to activate our clamping systems.